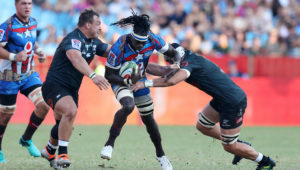 Blues – 15 Melani Nanai, 14 Tanielu Tele’a, 13 TJ Faiane, 12 Ma’a Nonu, 11 Rieko Ioane, 10 Harry Plummer, 9 Jonathan Ruru, 8 Akira Ioane, 7 Blake Gibson, 6 Tom Robinson, 5 Josh Goodhue, 4 Gerard Cowley-Tuioti, 3 Sione Mafileo, 2 James Parsons, 1. Alex Hodgman. Subs: 16 Leni Apisai, 17 Ofa Tuungafasi, 18 Karl Tu’inukuafe i, 19 Patrick Tuipulotu, 20 Dalton Papalii, 21 Augustine Pulu, 22 Otere Black, 23 Levi Aumua/Matt Duffie. Highlanders – 15 Ben Smith (cc), 14 Waisake Naholo, 13 Patelesio Tomkinson, 12 Thomas Umaga-Jensen, 11Tevita Li, 10 Marty Banks, 9 Aaron Smith, 8 Luke Whitelock, 7 Luke Whitelock (cc), 6 Shannon Frizell, 5 Tom Franklin, 4 Pari-Pari Parkinson, 3 Tyrel Lomax, 2 Liam Coleman, 1 Ayden Johnstone. Subs: 16 Ray Niuia, 17 Daniel Lienert-Brown, 18 Siate Tokolahi, 19 Josh Dickson, 20 Jackson Hemopo, 21 Folau Fakatava, 22 Josh Ioane, 23 Richard Buckman. Hurricanes – 15 Chase Tiatia, 14 Wes Goosen, 13 Matt Proctor, 12 Jordie Barrett, 11 Ben Lam, 10 Beauden Barrett (c), 9 Richard Judd, 8 Reed Prinsep, 7 Ardie Savea, 6 Vaea Fifita, 5 Liam Mitchell, 4 James Blackwell, 3 Ben May, 2 Ricky Riccitelli, 1 Fraser Armstrong. Subs: 16 James o’Reilly, 17 Xavier Numia, 18 Jeffrey Toomaga-Allen, 19 Isaia Walker-Leawere, 20 Sam Henwood, 21 Finlay Christie, 22 Fletcher Smith, 23 Danny Toala. 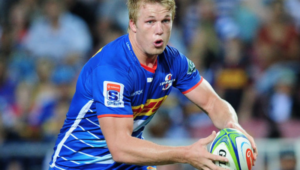 Stormers – 15 Dillyn Leyds, 14 Sergeal Petersen, 13 Ruhan Nel, 12 Damian de Allende, 11 SP Marais, 10 Jean-Luc du Plessis, 9 Herschel Jantjies, 8 Juarno Augustus, 7 Pieter-Steph du Toit, 6 Siya Kolisi (c), 5 JD Schickerling, 4 Chris van Zyl, 3 Frans Malherbe, 2 Bongi Mbonambi, 1 Steven Kitshoff. Subs: 16 Scarra Ntubeni, 17 Corne Fourie, 18 Wilco Louw, 19 Salmaan Moerat, 20 Jaco Coetzee, 21 Justin Phillips, 22 Dan du Plessis, 23 Damian Willemse. Waratahs – 15 Israel Folau, 14 Cam Clark, 13 Adam Ashley-Cooper, 12 Kurtley Beale, 11 Alex Newsome, 10 Bernard Foley, 9 Nick Phipps, 8 Jack Dempsey, 7 Michael Hooper (c), 6 Ned Hanigan, 5 Rob Simmons, 4 Jed Holloway, 3 Sekope Kepu, 2 Damien Fitzpatrick, 1 Harry Johnson-Holmes. Subs: 16 Andrew Tuala, 17 Rory O’Connor, 18 Chris Talakai, 19 Lachlan Swinton, 20 Michael Wells, 21 Jake Gordon, 22 Mack Mason, 23 Karmichael Hunt. Crusaders – 15 David Havili, 14 Braydon Ennor, 13 Jack Goodhue, 12 Ryan Crotty (c), 11 George Bridge, 10 Brett Cameron, 9 Bryn Hall,, 8 Whetukamokamo Douglas, 7 Matt Todd, 6 Jordan Taufua, 5 Sam Whitelock (c), 4 Quinten Strange, 3 Owen Franks, 2 Codie Taylor, 1 George Bower. Subs: 16 Andrew Makalio, 17 Harry Allan, 18 Michael Alaalatoa, 19 Luke Romano, 20 Tom Sanders, 21 Ere Enari, 22 Mitchell Hunt, 23 Will Jordan. Sunwolves – 15 Ryohei Yamanaka, 14 Gerhard van den Heever, 13 Jason Emery, 12 Harumichi Tatekawa, 11 Semisi Masirewa, 10 Hayden Parker, 9 Jamie Booth, 8 Rahboni Warren Vosayaco, 7 Dan Pryor, 6 Ben Gunter, 5 Tom Rowe, 4 Grant Hattingh, 3 Jiwon Koo, 2 Atsushi Sakate, 1 Masataka Mikami. Subs: 16 Nathan Vella, 17 Alex Woonton, 18 Hiroshi Yamashita, 19 Uwe Helu, 20 Amanaki Mafi, 21 Fumiaki Tanaka, 22 Takuya Yamasawa, 23 Hosea Saumaki. 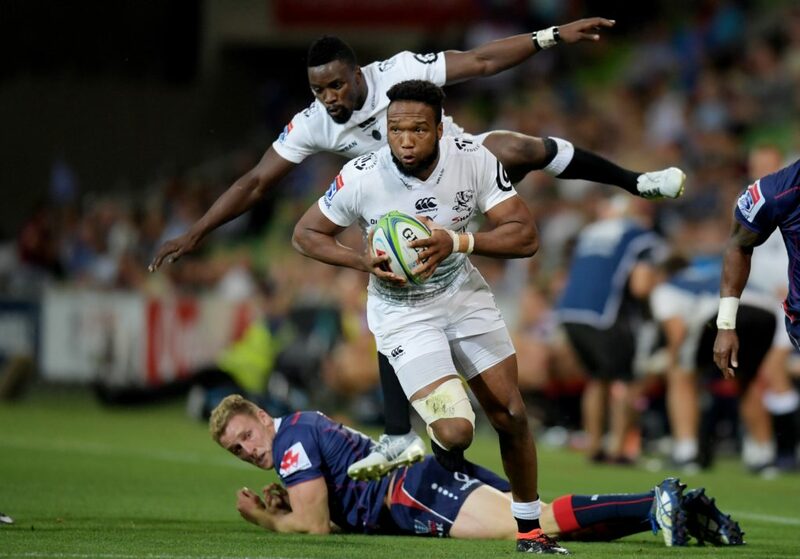 Lions – 15 Tyrone Green, 14 Sylvian Mahuza, 13 Wandisile Simelane, 12 Lionel Mapoe, 11 Courtnall Skosan, 10 Elton Jantjies 9 Nic Groom, 8 Ruan Vermaak, 7 Stephan Lewies, 6 Marnus Schoeman, 5 Marvin Orie, 4 Rhyno Herbst, 3 Carlu Sadie, 2 Malcolm Marx (c), 1 Sti Sithole. Subs: 16 Robbie Coetzee, 17 Nathan Macbeth, 18 Frans van Wyk, 19 Hacjivah Dayimani, 20 James Venter, 21 Ross Cronjé, 22 Gianni Lombard, 23 Aphiwe Dyantyi. Subs: 16 Samisoni Taukei’aho, 17 Tevita Mafileo, 18 Nepo Laulala, 19 Michael Allardice, 20 Jesse Parete, 21 Te Toiroa Tahuriorangi, 22 Alex Nankivell, 23 Ataata Moeakiola. 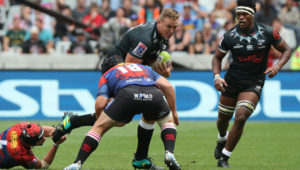 Sharks – 15 Aphelele Fassi, 14 Sbu Nkosi, 13 Lukhanyo Am, 12 Andre Esterhuizen, 11 Makazole Mapimpi, 10 Robert du Preez, 9 Louis Schreuder, 8 Daniel du Preez, 7 Jacques Vermeulen, 6 Phepsi Buthelezi, 5 Hyron Andrews, 4 Ruben van Heerden, 3 Coenie Oosthuizen, 2 Akker van der Merwe, 1 Tendai Mtwarira. Subs: 16 Craig Burden, 17 Juan Schoeman, 18 Thomas du Toit, 19 Gideon Koegelenburg, 20 Luke Stringer, 21 Grant Williams, 22 Marius Louw, 23 Curwin Bosch. Rebels – 15 Jack Maddocks, 14 Reece Hodge, 13 Sione Tuipulotu, 12 Billy Meakes, 11 Tom English, 10 Quade Cooper, 9 Michael Ruru, 8 Angus Cottrell, 7 Richard Hardwick, 6 Luke Jones, 5 Matt Phillip, 4 Ross Haylett-Petty, 3 Sam Talakai, 2 Anaru Rangi, 1 Matt Gibson. Subs: 16 Robbie Abel, 17 Tetera Faulkner, 18 Pone Fa’amausili, 19 Rob Leota, 20 Brad Wilkin, 21 Harrison Goddard, 22 Campbell Magnay, 23 TBC. Reds – 15 Hamish Stewart, 14 Filipo Daugunu, 13 Chris Feauai-Sautia, 12 Samu Kerevi (c), 11 Sefa Naivalu, 10 Bryce Hegarty, 9 Tate McDermott, 8 Scott Higginbotham, 7 Liam Wright, 6 Angus Scott-Young, 5 Lukhan Salakaia-Loto, 4 Harry Hockings, 3 Taniela Tupou, 2 Alex Mafi, 1 Feao Fotuaika. Subs: Brandon Paenga-Amosa, 16 Harry Hooper, 18 Ruan Smith, 19 Izack Rodda, 20 Fraser McReight, 21 Moses Sorovi, 22 Duncan Paia’aua, 23 Isaac Lucas. Brumbies – 15 Tom Banks, 14 Henry Speight, 13 Tevita Kuridrani, 12 Irae Simone, 11 Lausii Taliauli, 10 Christian Lealiifano (c), 9 Joe Powell, 8 Lachlan McCaffrey, 7 Tom Cusack, 6 Pete Samu, 5 Sam Carter, 4 Rory Arnold, 3 Leslie Leuluaialii-Makin, 2 Folau Faingaa, 1 James Slipper.